I recently re-found these pictures from the "old days" and thought you might enjoy. I didn't take them and I don't remember exactly when and where they are from, but I believe they're from the first tour, somewhere in the Midwest (Chicago?). 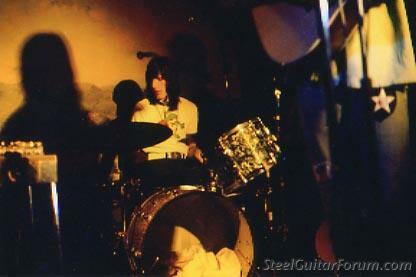 It's Gram, Emmylou, Neil Flanz on steel and ND Smart on drums. Love the t shirts... time sure flies! Those are priceless! Thanks Bob. These pics haven't surfaced anywhere else, brilliant. Look who else resurfaced... nice to see you again Jason. Ditto. You been lurkin' all this time, or just not around? ... honestly, I pop in on the rare occasion, but only just recalled my password ... I hadn't updated my email for years, so I couldn't even use the prompt option, but while reading this post it just came back to me, total fluke. Nice to hear from you again, Jason. 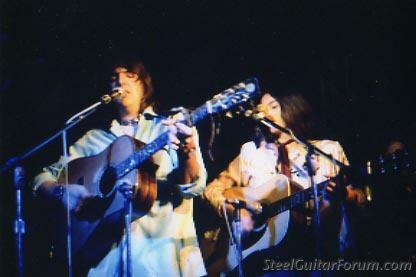 Does anyone know the brand of the guitar that Gram plays in these pictures? Nice to see you back Jason, I've missed you contribution to the forum. Hope all is well. 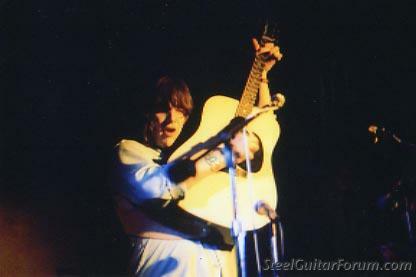 (if the link doesn't work try looking up 1972 David Russell Young Custom Dreadnought - Gram Parsons. Check that little box on the password prompt that says "keep me logged in" or "remember this password" or whatever variation there is for this site. It's a whole lot easier than going through the login every time. Thanks alot. I vaguely remembered there was something special about that guitar. 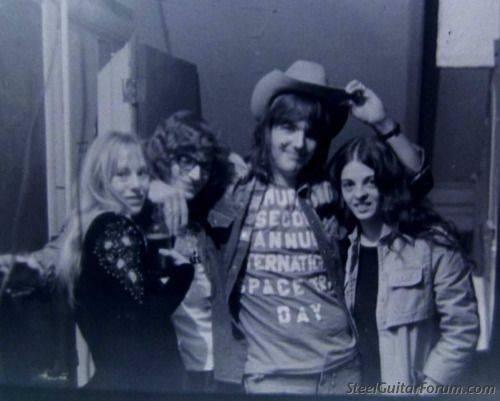 At a Gram Parsons record Facebook page I saw this photo where it said, Gram his wife Gretchen and some fans. 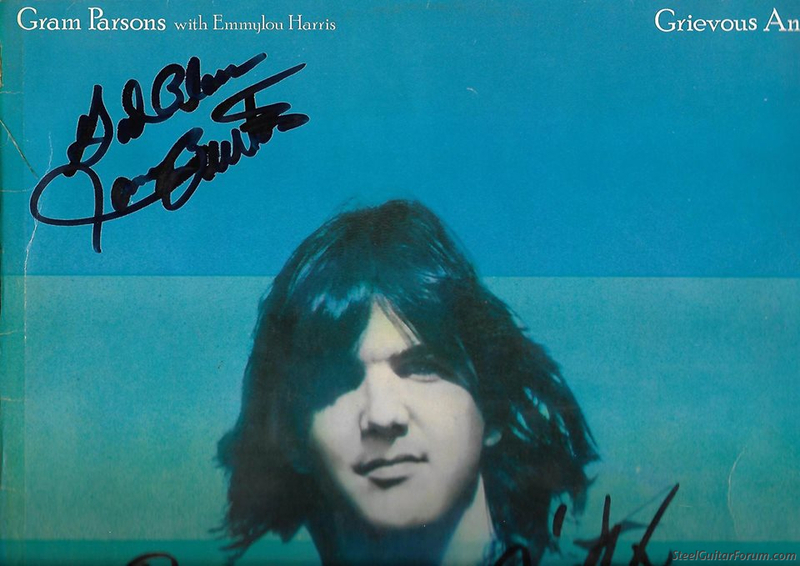 However I saw Gram Parsons is embracing Neil Flanz. 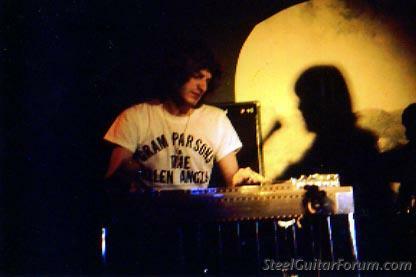 Neil confirmed it is really him and never saw the photo before. Fantastic pics, thanks for sharing! James Burton signed my Grievous Angel record two months ago! It was sold for 125.000!